After deciding to dive into NMRA Pure Street competition in 2000, Adam Cox borrowed a truck and a trailer to take his 1988 Mustang to his first race in the series. He competed in that category for two years before turning his focus to work, and even bought a reliable 1999 Mustang in 2008 to drive to and from his job in the signal department at CSX Transportation in Kentucky. As it turned out, however, the car further fanned his go-fast fire, and he swapped its stock six-cylinder engine with a 281 cubic-inch Modular engine from a 1993 Lincoln Mark VIII which had 110,000 miles on it and came from a junkyard. He topped it with 2004 Cobra heads, a Sullivan Performance Products intake, Quick Fuel carburetor, and chose a face-plated Tremec TKO transmission to help put the power down. 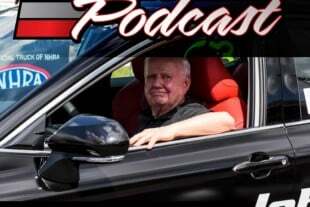 Then, in 2010, he headed to the NMRA event at Beech Bend Raceway in Kentucky, where he officially made the move from the heads-up world of Pure Street to the index world of Exedy Racing Clutch Modular Muscle. For the next three years, Cox cruised in NMRA competition across the country, and in that time, he collected a win and coaxed a 10.15 from his combination, and it didn’t complain until the 9th Annual NMRA/NMCA All-Star Nationals at Atlanta Dragway last April. With a combination that made 500 horsepower to the back tires on the dyno at Blankenship Tuning and Performance in Kentucky, Cox returned to competition at the 12th Annual Nitto NMRA/NMCA Super Bowl of Street Legal Drag Racing in July at Route 66 Raceway in Illinois, where he advanced through a few rounds of competition. He followed that with a few more rounds of competition at the final race of the season, the 19th Annual Nitto NMRA All-Ford World Finals in the fall at Beech Bend Raceway in Kentucky. “We were fortunate to only miss one race while rebuilding the engine, and we were tickled to death about that and how the car ran,” said Cox, who achieved a 10.09 with the rebuilt engine while going through the gears of his G-Force Transmissions G101A. Cox is now preparing to take part in the 24th Annual Nitto NMRA Spring Break Shootout, March 1-4 at Bradenton Motorsports Park in Florida, and it will mark the first time the Kentucky resident has raced at the storied event. To mark the occasion, his car will now sport AFCO struts and additional AEM sensors. 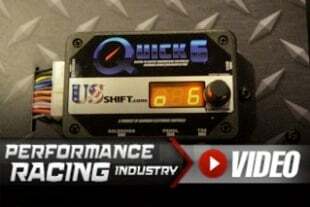 SpeedVideo.com will broadcast all of the action live via presenting sponsor Edelbrock, along with Strange Engineering, Comp Cams, Royal Purple, Moser Engineering, RaceStar Industries and Flying A Motorsports.